The Real Iran, Pt7: What Happens in Iran, Does Not Have to Stay in Iran! Prior to going to Tehran, I decided to leave the urban setting for a change and go to a small village more than one hour away from Kashan. This village is called Abyaneh and is considered to be one of the oldest continuously inhabited towns in Iran. It is so old that the natives there speak an ancient variant of Persian which differs from what the rest of the Iranians speak and they wear clothes that don’t look out of place in the year 1200, or even year 1 AD. There are actually several ways to get to Abyaneh from Kashan. The most convenient way is to rent a car with driver for a daytrip which typically costs $30 to $35 depending on your bargaining skills for a vehicle that seats up to 4. I chose another route which was to go there via motorbike. I got the idea after wandering around the main road in Kashan, which was filled with automotive shops. I asked my hotel to source one for me and voila, it was there the next day! So off we went, relying mostly on the Maps application in my iPhone (an indispensable app by the way!). It was mostly a straight ride of about an hour or more. The roads in Iran are especially good, the only thing one had to worry about are the cars which have no regard for speed so a good way to navigate it on motorbike is to take the side road. Throughout the whole trip, I only had to turn once – in a junction where I passed by the not-so-hush-hush nuclear facility (yet again!). Sweet. Soon enough, I was out of the desert and into the mountainous area. The vegetation changed from barren to seasonal colors of yellow and red which coincided with autumn. It reminded me a lot of New Zealand. By this time, we entered the second half of our trip and continued our way up north. It was time to say goodbye to the amazing city of Esfahan and proceed to a little but popular city in between Esfahan and the capital, Tehran. 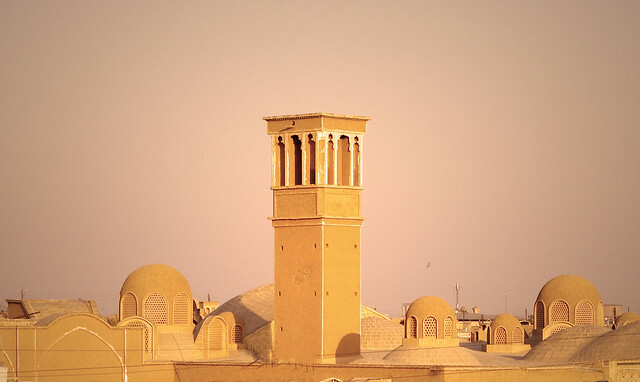 We took the morning bus to this city which is called Kashan, passing by more desert and arid lands. Of note were the nuclear power plants we passed by near a small town called Natanz. The other passengers on the bus were quite keen on pointing it out to me when we passed by it. After spending two nights in Shiraz and taking that daytrip to Persepolis and Nagsh e Rostam, it was finally time to move on to our next city – Yazd. Sitting in the middle of the desert, this central Iranian city is known for its unique clay architecture which gives it a very storybook feel. I wouldn’t be surprised if the story Aladdin was set here. A six-hour bus ride away, I had a rough idea of how to get there from Shiraz but Antoine, a Frenchman we met during the Persepolis trip, told us how it’s common practice to ask the hotel to book bus tickets. This was great news, and saved us the hassle of having to buy them ourselves at the bus terminal. Many countries have that one landmark which serves as the national symbol as well as its #1 tourist draw. As Angkor Wat is to Cambodia, Machu Picchu to Peru and Great Wall to China, in Iran that place is Persepolis. Over 2,500 years old, this former capital of the Persian Empire is emblematic of the strong Pre-Islamic heritage which this nation proudly carries. Way before associations with the “axis of evil” came about, it is Persepolis which people in the past two millennia have come to associate with Persia. Some forty years ago when Iran was still under a secular government, a grand celebration with a lot of pomp and pageantry was held in Persepolis by the then Shah Mohammad Reza Pahlavi to commemorate 2,500 years of Persian Civilization. The guest list included the who’s who in global politics at that time, and also comprised our then First Lady Imelda Marcos who represented the Philippines for the event. I had been looking forward to this trip since 2007 when my interest in traveling to Iran started. I had just traveled to Turkey earlier that year, and after finding it to be one of my best travel experiences, I vowed to see more of the Middle East next time. However, it did not materialize until four years later – I had constantly been putting it off in favor of nearer destinations. But this year, with all the uncertainty and the revival of the nuclear programme issue in recent months, I decided it was now or never. It had been pending in my travel list for far too long. 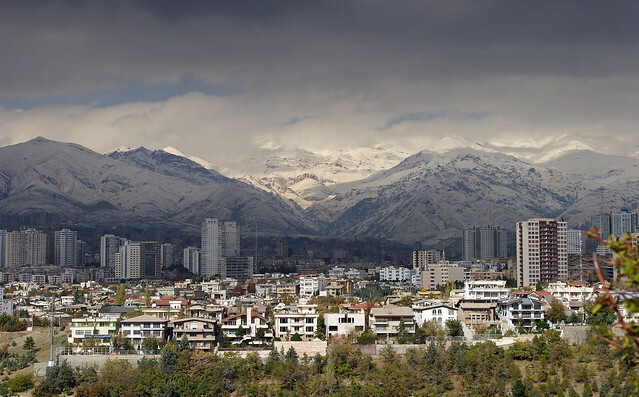 With only a limited number of days in Iran, I decided to depart from the usual practice that most travelers have of arriving and departing through Tehran. Fortunately, Qatar Airways started flying to Shiraz recently, which was the southernmost city in our trip so we could just make our way northwards and skip a potentially hazardous domestic flight. The actual flight to Shiraz from Doha turned out to be more like a short hop over the Persian Gulf, and before I knew it, I was in the waiting area of the airport terminal negotiating for the fare with the cab drivers. Despite all the horror stories I heard with the immigration procedures, I got my visa in a few minutes after presenting my reference code. Then, I was off to Shiraz! The Real Iran Prologue: Why Go to Iran? If I were to base my travel decisions solely on the opinions of the people around me, I probably would not have gone to Iran. To say this country has a bad reputation is a gross understatement – it probably ranks near the bottom among countries in terms of public perception. Of course, it does not help that its government once voiced its wish to have “Israel wiped off the map” but then again, as in most countries, the overwhelming majority of the citizenry does not share the same sentiments as with its leaders. A country like Iran deserves more than just a second look. What if instead of Iran, we call it by its former name, Persia? Would thoughts of nuclear programmes and hard-line Islam suddenly switch to dreams of an ancient civilization, ornate palaces and a forward-looking populace? Indeed, this country’s current standing is perhaps a juxtaposition of these two worlds. To dismiss Iran merely due to the negative perception would mean foregoing the opportunity to (1) meet the friendliest and warmest people on earth, (2) see some amazing ancient ruins and stunning architectural works, (3) try some great and varied activities such as skiing, cycling, etc at a fraction of the cost and (4) perhaps have one of the most fulfilling travel experiences ever. During the days leading to my departure, almost everyone who learned about my trip thought that I was mad or some kind of a weirdo. I had only told a handful of people about my trip but this seemed to have spread all over, as I suppose there is a tendency for people to spread around rumors that someone had gone cuckoo. My friends, family and colleagues were genuinely concerned for my safety. “Please come back in one piece” was something I heard often, as if I was going to a war zone. The only people who didn’t think so were the ones who had been to Iran previously, and they were the ones who steadfastly vouched for the safety over there. These people had fondly shared with me memories of their trip to Iran and their wish to go back sometime in the future. 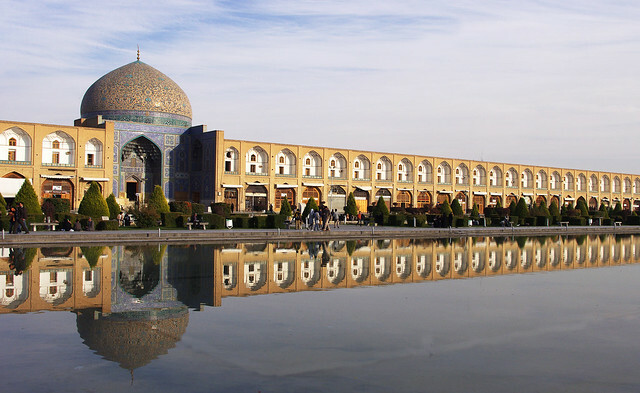 Many of those who have been there actually rank Iran as one of their favorite countries, travel-wise.